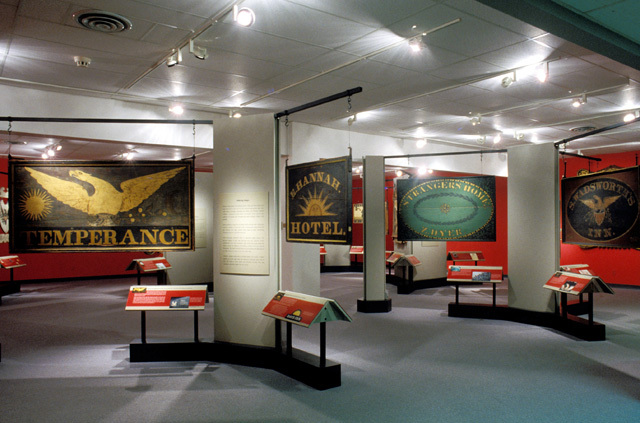 Long before there were neon lights or golden arches, travelers found their journeys marked by the artwork of early American sign painters. 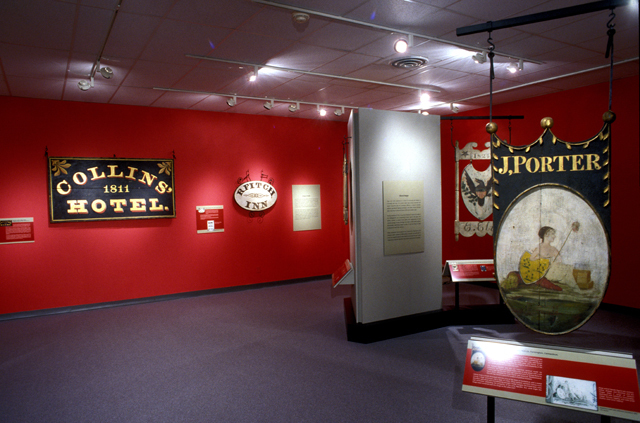 This exhibition, assembled primarily from the collection of the Connecticut Historical Society, showcases 26 extremely rare signs from the eighteenth-and nineteenth-century tavern and inn signs. 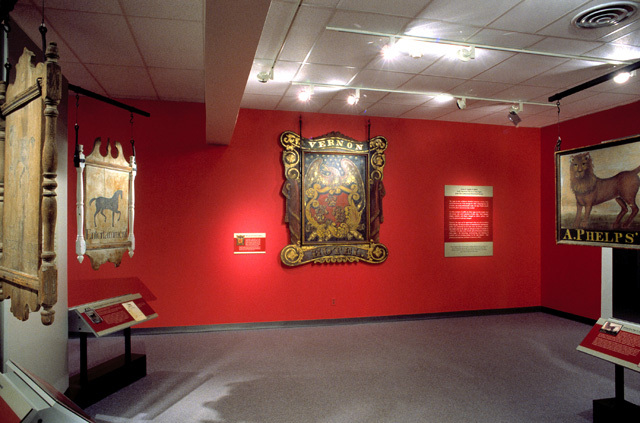 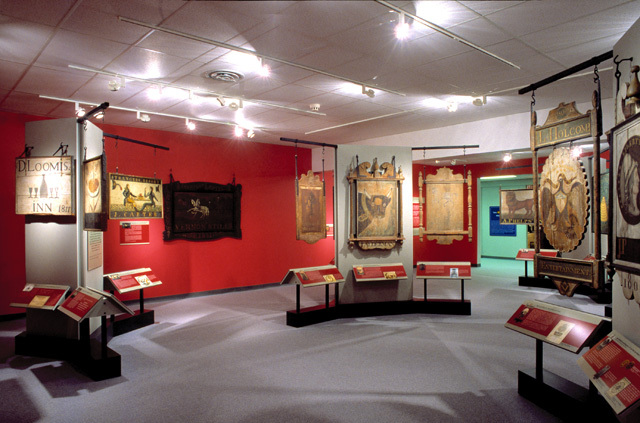 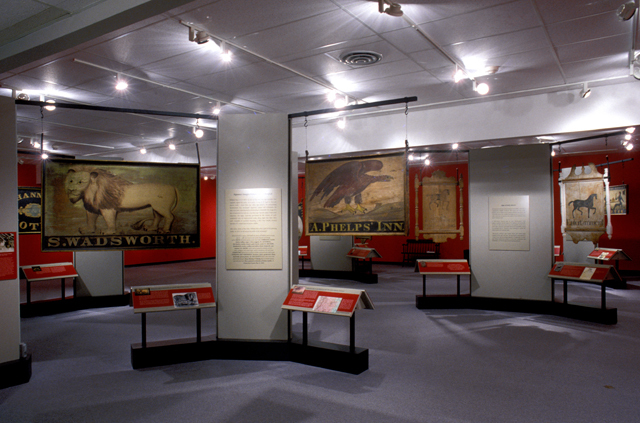 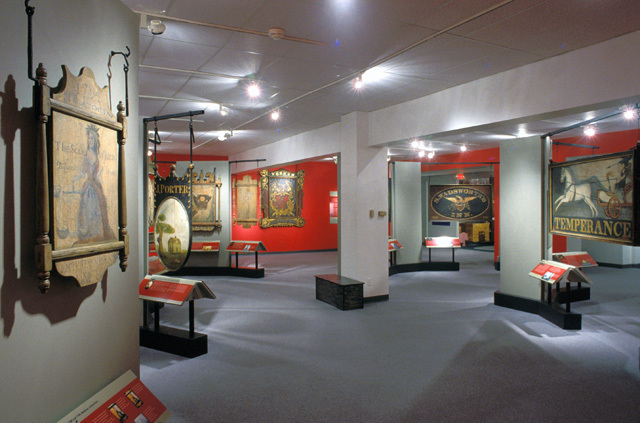 This exhibition toured to five museums after its initial installation at the Connecticut Historical Society in Hartford.